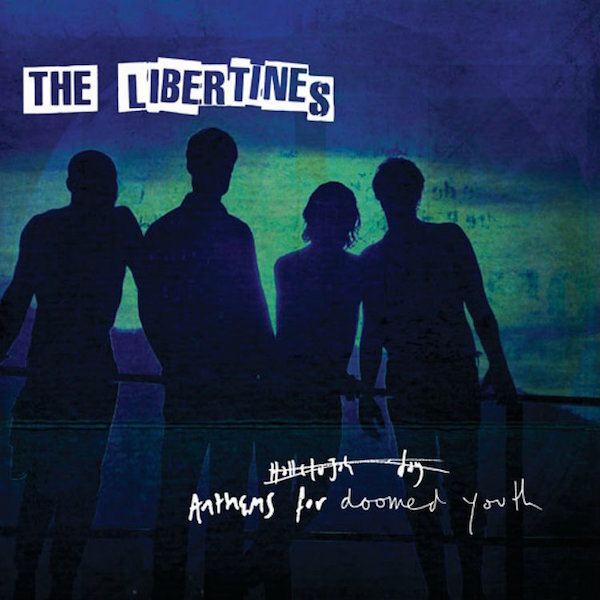 Today, The Libertines—a British quartet in part responsible for rejuvenating garage rock in London—announced the impending release of their third album, Anthems for Doomed Youth. Slated to drop September 4, the project will be the band’s first LP of new material since 2004’s self-titled full-length. The news comes not long after the group’s surprise Glastonbury appearance. Tonight, “Gunga Din,” Anthems‘ lead single, will hit BBC Radio 1. Grammy-nominated Jake Gosling, who has worked with acts ranging from Ed Sheeran to Wiley, is at the helm of the album as executive producer. UPDATE: Listen to lead single “Gunga Din,” complete with a video treatment, below. Check out the tracklist for each iteration of Anthems below.